As our technological capabilities increase, so does our ability for added security. 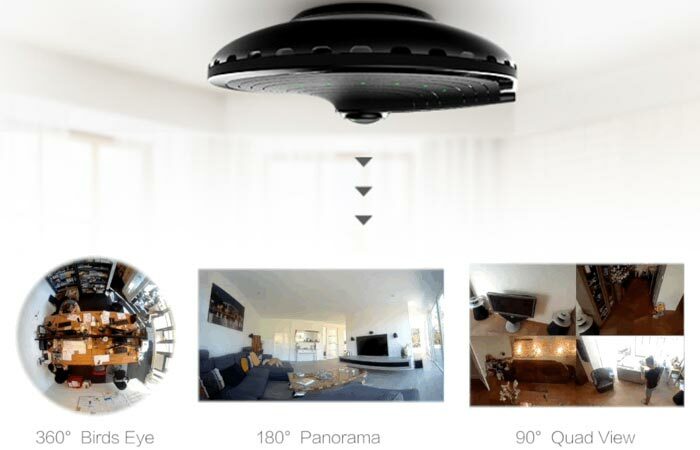 With some amazing security cameras out there, the smanos UFO Smart Home Camera is definitely unique in both design and functionality. The interesting UFO-esque design of the smanos gives it an edge above its competitors since this camera allows for a full 360-degree bird’s eye view with absolutely no blind spot. By attaching the smanos to your ceiling, it gives you an unprecedented 360-degree bird’s eye view. What makes this security camera even more incredible is the fact that it’s armed with a full-HD fisheye lens that records at 1080p as well as full night vision for low light conditions and motion detection, like all good security cameras have. Check out the Indiegogo video below. The smanos UFO offers 3 different viewing modes so that you can use it as you need it. To record all of your footage, the smanos can take a microSD card and it records continuously as well. 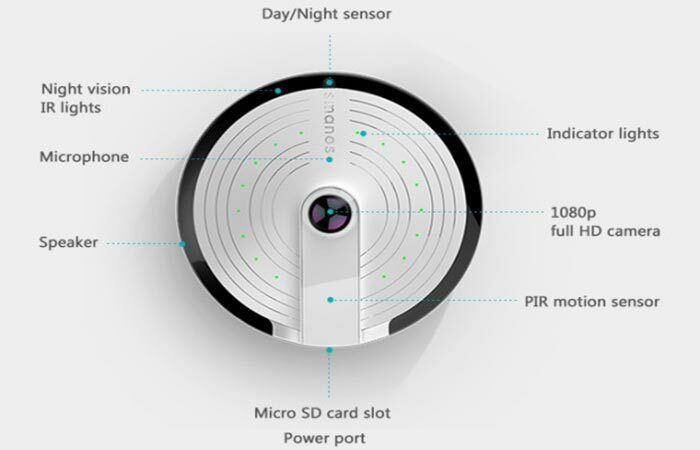 It also has an in-built event log and can also connect to your WiFi network which allows you to remote view from your mobile or to receive notifications of any conspicuous activity. The smanos is also unique in the fact that it has different viewing styles dependent on your needs; these viewing styles are 360⁰ Bird’s Eye, 180⁰ Panoramic or 90⁰ Quad View which splits the 360⁰ view into 4 separate blocks. To enhance it even further, this camera offers a speaker and microphone so that you can hear any intruders and speak back to them, if you wish. The smanos is packed full of features that make your life easier. 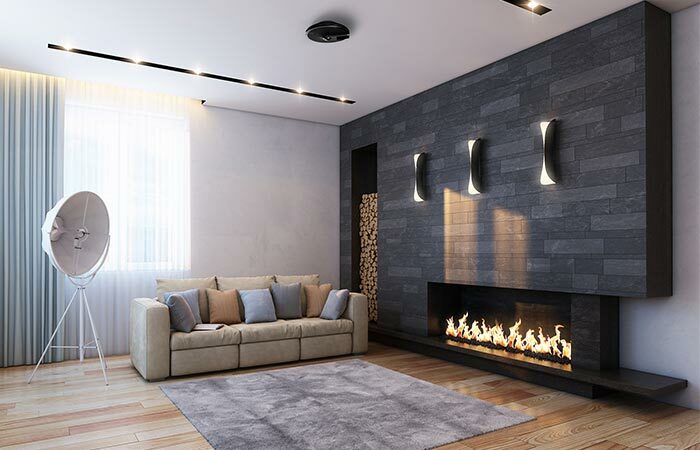 The smanos also gives you the option to mount it on a wall or ceiling and it’s thin, lightweight design will fit any home décor that you might have. At the moment, the smanos is busy with a flexible Indiegogo campaign which means that your pledge is a preorder that will be honored in October 2016. Get it from Indiegogo here.